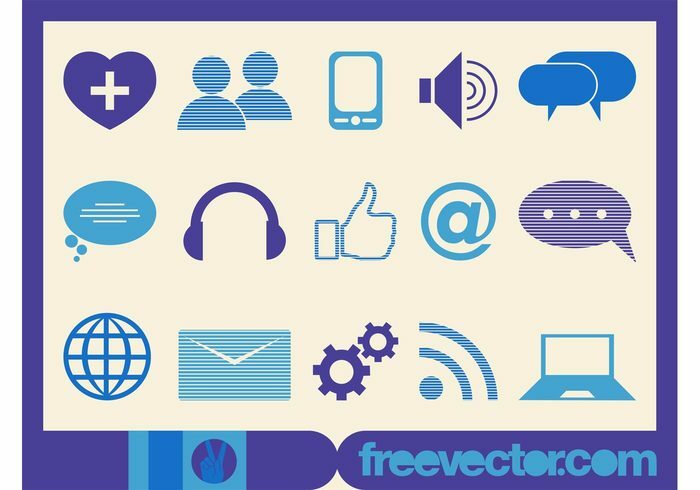 Vector footage of technology and communication icons. Colorful images of envelope, speech bubbles, people, headphones, phone, laptop, speaker, heart, gear wheels, RSS symbols and others. Free vectors for technology, tech, computers, communication, Internet and devices visuals.